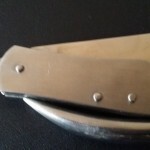 A pocket knife is one of the single most useful items you can have about your person. 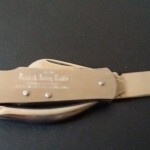 Today we have a slightly unusual one – the British Army Knife. Will it beat out the more ‘modern’ competitors? 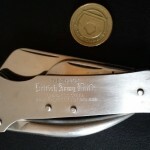 The first thing you’ll notice about the British Army Knife is that it’s large. 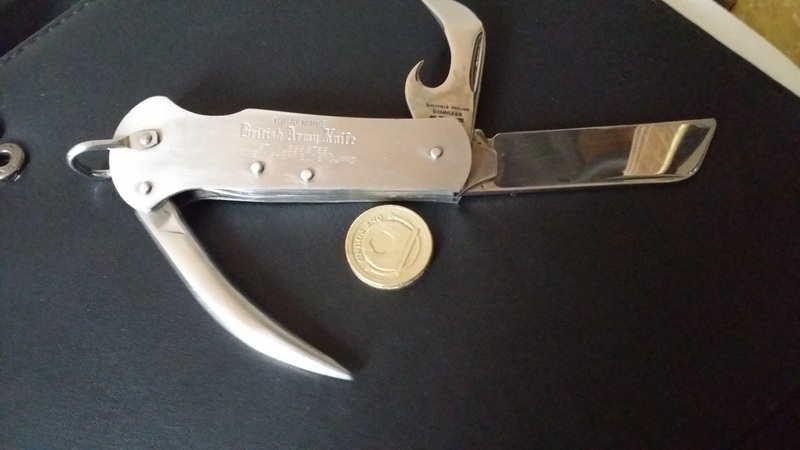 It certainly doesn’t fit with the typical profile of this sort of tool – it’s dramatically bigger than a Swiss Army knife, for instance. It’s also got a pretty substantial weight to it, with the handle in particular being a large chunk of metal. That said, this lends a good sense of quality and robustness. This isn’t going to break if you drop it, or indeed, if you throw it up against a wall and then repeatedly jump up and down on it. So, this isn’t for those that want something lightweight, but it is pretty well put together. 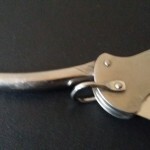 There’s also a lanyard ring for attaching the tool to a belt or elsewhere. Let’s have a look at each tool in turn. 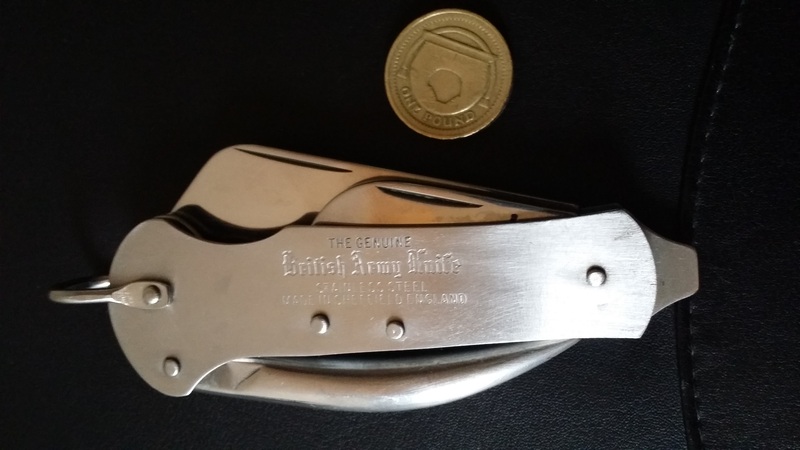 The knife edge is a fairly unusual straight design, and it’s pretty big – just under UK legal carry requirements. It’s a folder, and there’s no locking mechanism, so, fearsome as it looks, you are free to carry this around in the UK. 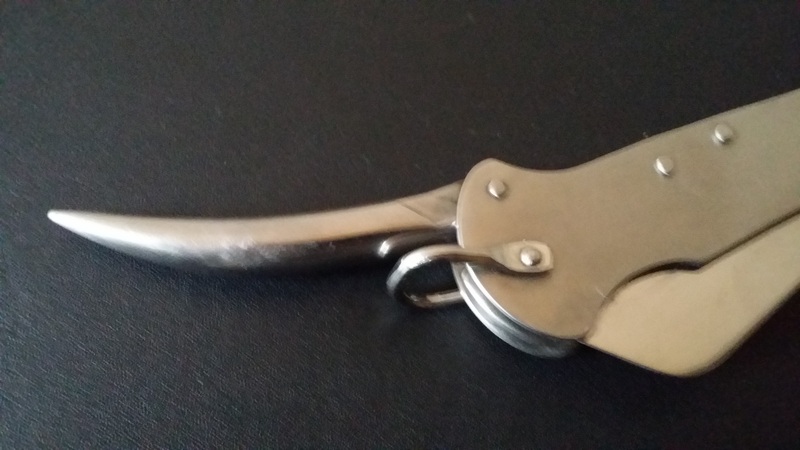 The opening mechanism is on the side of snappy, and requires decent force to open and close. 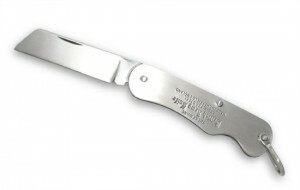 The knife itself is plenty sharp and will make short work of almost any routine cutting task. For day to day box opening and cutting bits of string, this is overkill – but we can’t really complain about that. 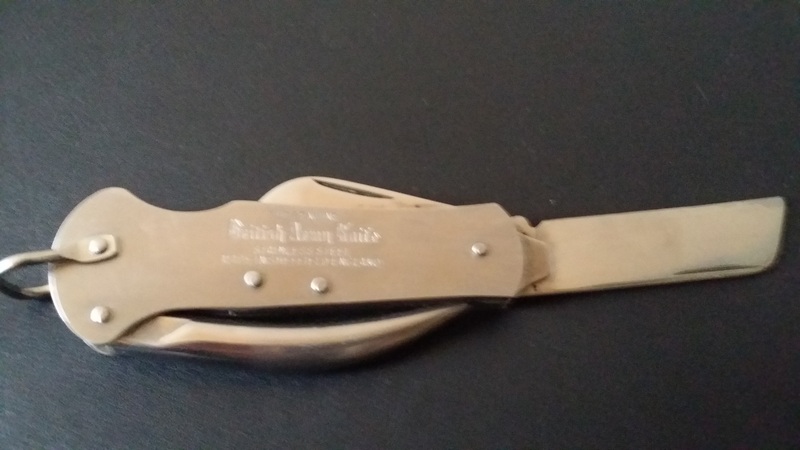 It’s a better knife than on most tools. 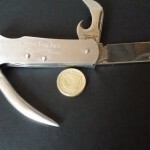 The tin opener includes an engraved instruction to oil the joints, which is welcome as you risk snapping your nails off otherwise. But, as with the knife, it’s sturdy and you get plenty of leverage from the tool’s handle. It’s an old school “hack away at the tin” type, which you’re unlikely to use if you aren’t out and about, but it certainly does the job. We found we could use it to open bottles also, which is nice. 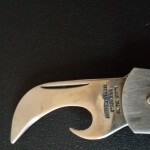 The marlin spike is a solid metal spike intended for splicing rope. Now, we don’t find ourselves in need of a marlin spike regularly, but this doesn’t make the tool useless. In fact, any sort of ‘jabbing’ that needs doing can be accomplished with this. We used it to make small holes in the ground for a tent pole, for instance. We quite like this, although it clearly isn’t for everyone. 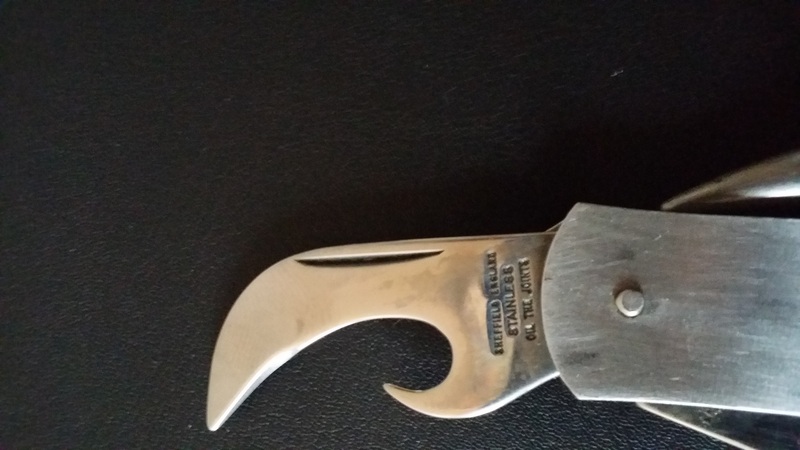 There can be no argument that this isn’t well-made either, although it is a scary-looking addition for the average pocket knife user. The screwdriver is a large flat-headed section on the end of the tool’s handle. You get plenty of leverage and it’s tough enough. You won’t be adjusting anything delicate with it, but for the intended uses it’s absolutely fine. 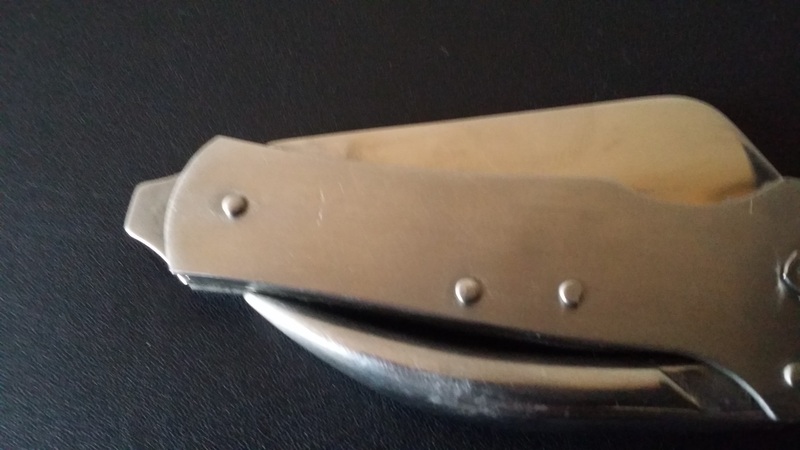 The British Army Knife is clearly not for everyone. It includes unusual tools that may not be that useful in day-to-day tasks. However, it is absolutely built to last, and every tool included works extremely well. If you’re looking for a pocket knife with some extras that will survive the apocalypse, then this is absolutely the right choice. We like the British Army Knife a lot.